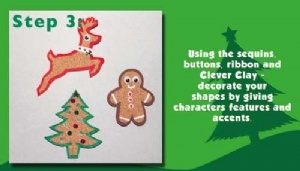 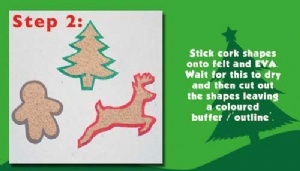 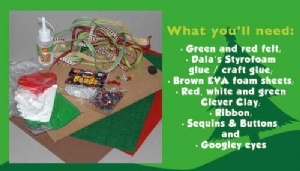 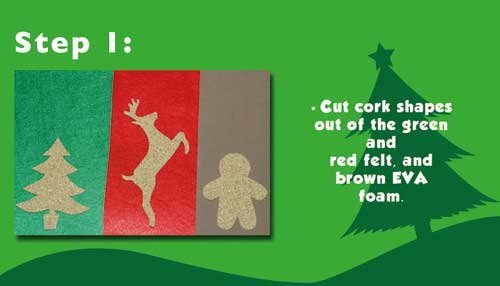 Draw and cut out shapes from the cork sheets - in this tutorial we cut a tree, reindeer and gingerbread man. 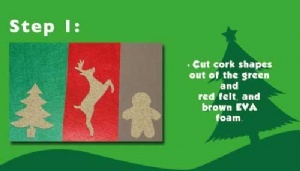 Stick your cork shapes down onto the felt and EVA foam - wait for these to dry for a few minutes and then cut around the cork shapes so as to leave a border around them. 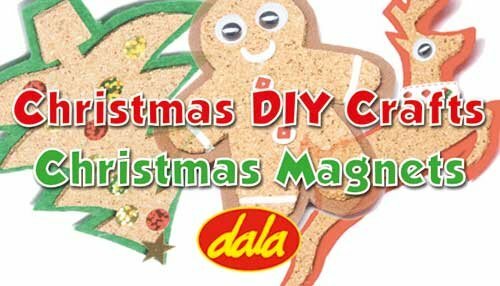 Using the white Clever Clay, sequins and googley eyes add some details and decorations to your Christmas magnets. Stick magnets to the back of your felt, cork and foam shapes and wait a few minutes for this to dry before attempting to stick to metal surface. 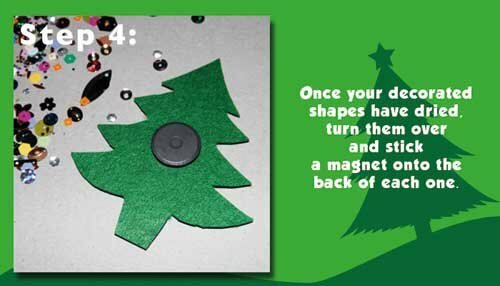 30 minutes for craft glue before attempting to stick to metal surface. This item has 667 views.